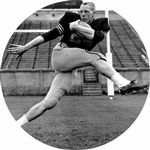 Long before he entered the financial world, before he become a brigadier general in the U.S. Army and shortly before he earned a Rhodes Scholarship and captured the Heisman Trophy, Pete Dawkins was a student-athlete at Cranbrook High School. Dawkins will tell you how much the exclusive prep school from where he graduated in 1955 helped shape his amazing life story — so much so that he still maintains a close affiliation with the Bloomfield Hills institution, both as a proud alum and generous financial donor. It's a relationship the 80-year-old Dawkins cherishes dearly. "Cranbrook played a big, big part of my life. Kind of a critical part," Dawkins said. "So I've always been thankful for having had the opportunity to go there. Pretty remarkably, our class has stayed in touch through the years. "We have had reunions every five years since we graduated and we still get a very large turnout who fly in from Australia, London, Sao Paulo. It's been really remarkable," he added. "Many of us still have a great fondness about the place and remember the role it played in our lives very prominently."